Do you have a special skill or talent you’d like to share? Fill our our Volunteer Interest Survey to get started! From time to time, we have a key volunteer position open up that we would like to fill right away. We’ll post those needs here. 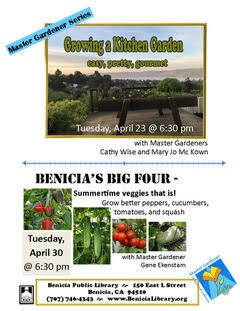 Help run the CSA (Community Supported Agriculture) program in Benicia! We have four different farms that deliver to a central location near Military and East Second Street. Time commitment is 20 minutes on Wednesdays (set-up) and 20 minutes on Thursdays (clean-up), scheduled once or twice per month. Some lifting/hauling is required (carrying milk crates with bottles, dumping ice from a cooler, etc.) In exchange for your time, you can receive a small discount on local food! For more info, please email volunteer@sustainablesolano.org. We are interested in seeing other sites similar to the central Benicia CSA drop site grow in cities throughout Solano County. Do you already manage a CSA site and would like to expand? Or are you looking to bring a CSA site to your neighborhood? You can do it and we can help! If interested, please email volunteer@sustainablesolano.org. Below are some of the ways we always welcome volunteer help. See something that interests you? See another need you could help fill? Fill out our Volunteer Interest Survey to get started! Send us an email at volunteer@sustainablesolano.org to get involved. We have plenty of regular monthly events, especially for our well-established initiatives. Join us for these friendly gatherings. Get to know and learn from new friends, work in the community, dig in the dirt, do some light weeding and pruning, and sustain the roots, stems, leaves and seeds of our neighborhood at large.